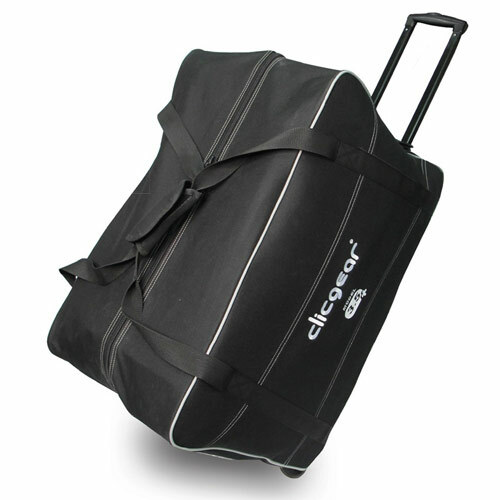 The Clicgear® Wheeled Travel Cover helps protect your cart when you travel. Made from tough, padded splash proof polyester - this travel cover is very useful for keeping your cart safe when traveling. 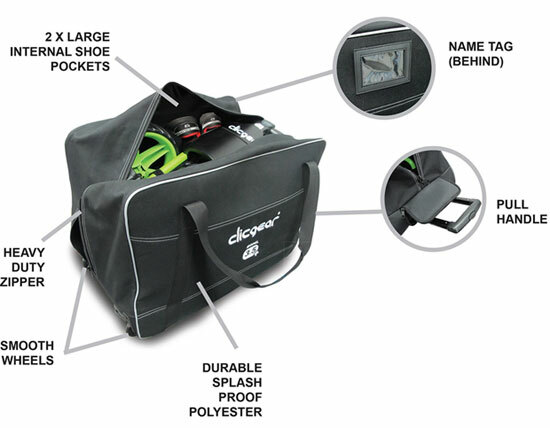 The bag has a rubberized bottom and 2 large internal pockets for shoes and other items. Effortless transportation with the pull handle and smooth in-line wheels. Great for college teams that travel frequently. Full length zipper makes it easy to store your 1.0 – 3.5+ cart or Rovic RV1C / RV1S cart.